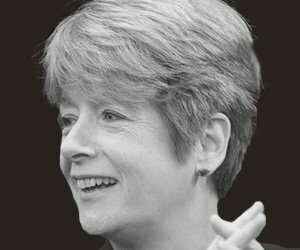 Dr. Rose Luckin is Professor of Learner Centred Design at UCL Knowledge Lab in London and Director of EDUCATE: a London hub for edtech start-ups, researchers, educators, learners and parents to work together on the development of evidence-based edtech. Her research involves the design and evaluation of educational technology using theories from the learning sciences and techniques from artificial intelligence (AI). She has a particular interest in how AI can be used to enable more effective, continuous, formative assessment processes and tools that capture cognitive, social, emotional and metacognitive progression. Dr. Luckin has advised research councils in various countries and has written widely about educational technologies. She is lead author of Nesta’s influential “Decoding Learning” report published in 2012, as well as the book “Unleashing Intelligence,” published in 2016. Rose is a ufi charity Trustee and a Governor and Trustee at St. Paul’s school in London and the Self-Managed Learning College in Brighton. Dr. Luckin has taught in secondary schools, Further Education and Higher Education and was appointed by the Minister for Schools as a non-executive director of Becta (the UK government agency leading the national drive to ensure the effective and innovative use of technology throughout learning), where she founded and chaired their Research Advisory Group. Do Web 2.0 tools really open the door to learning: practices, perceptions and profiles of 11-16 year old learners?